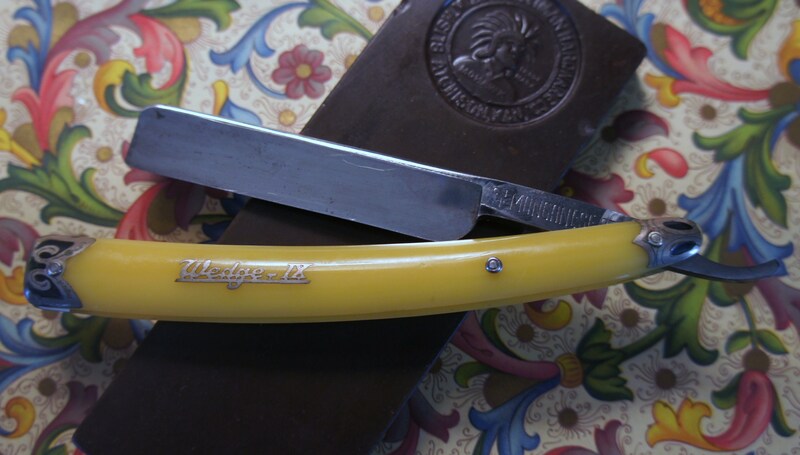 Used twice Rooney Heritage 3 band "Victorian" $119.00 Shipped in original box, purchased from Fendrihan and used for two shaves. Lovely brush but I decided it just wasn't for me. Price is firm as brush is practically new and did not lose a single hair in two muses. Handle has a beautiful appearance and the knot is very soft and not too dense. Great flow thru. 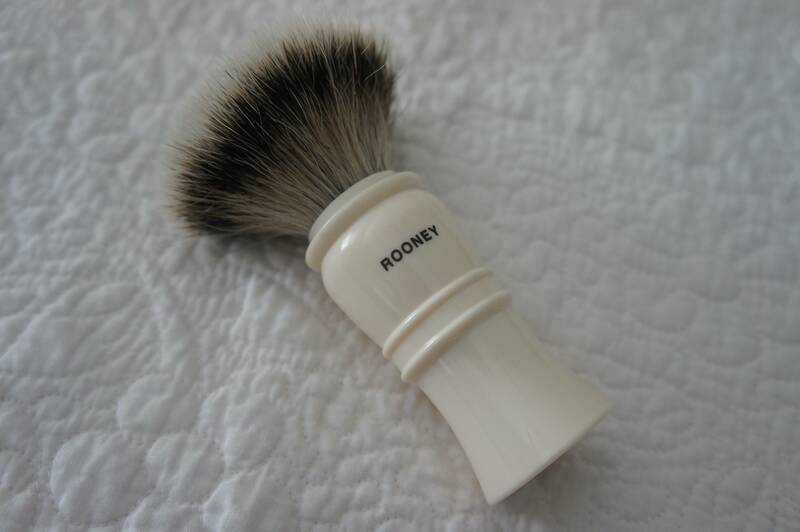 Newly purchased and used twice, practically brand new Rooney Heritage Victorian shaving brush. Lovely handle. The color is amazing. 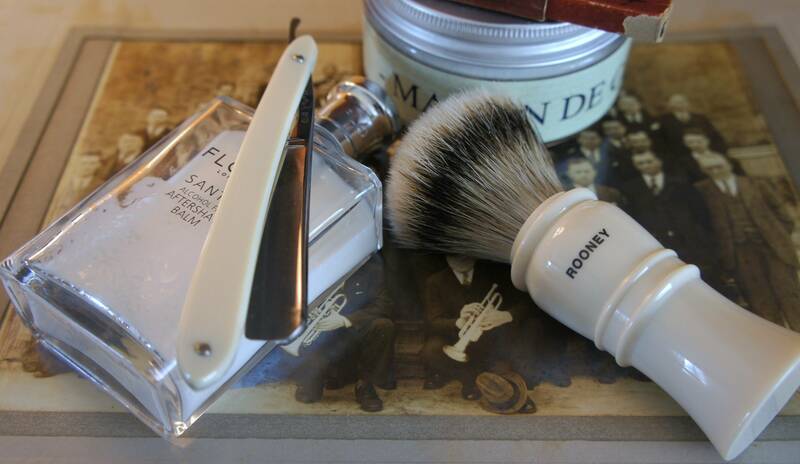 Have too many brushes currently and decided this one would be good for another home shave den. Buy it Now. 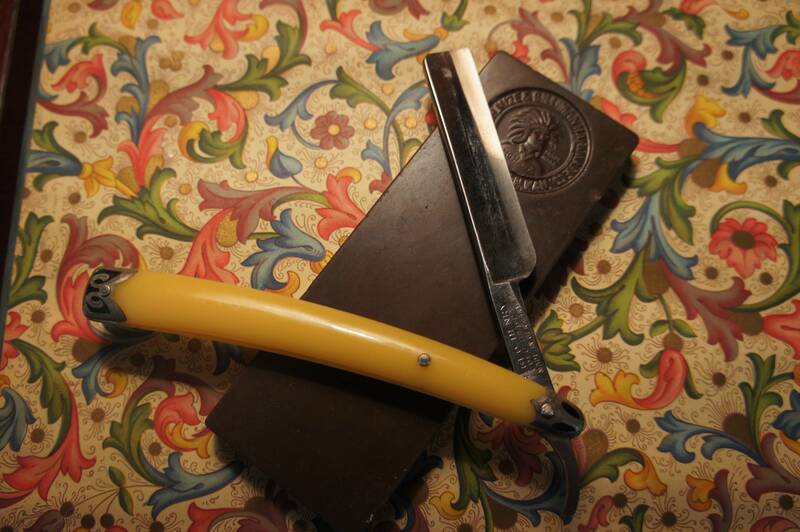 SOLD SOLD SOLDSTRAIGHT RAZOR......... Handsome H. Geo. Henry Manganese Wedge IV Germany #42 5/8 Silent Killer! Amazing 3 pin straight with colorful bolsters. Shave ready.